How Much Should I Budget For The Closing Costs? As a seller representative, you want an agent who is knowledgeable about the area, has the tools and know-how to market your property, and can get the most value for your property. 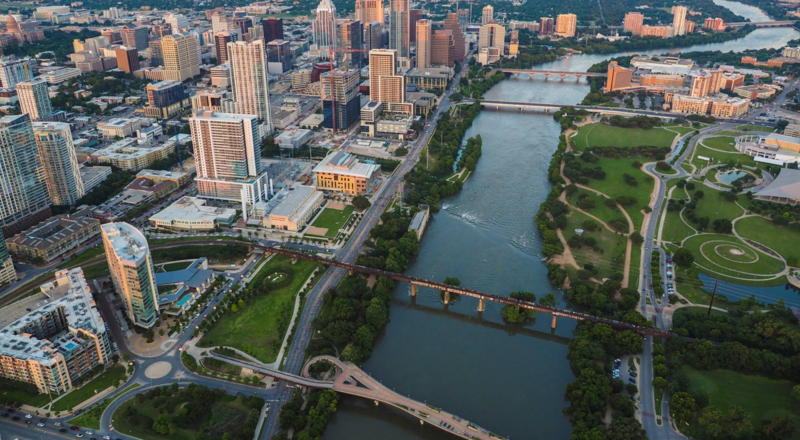 After 35 years of living in the Austin area and making investment in real estate, I have practical real-world knowledge and perspective about the Austin real estate market especially northwest part of town including Cedar Park, Leander, Round Rock, and Pflugerville. Many buyers make the bulk of their buying decision even before setting foot into your house. It is important to insure that the interested and motivated homebuyers are presented with virtual walk through of your property. Your property will be presented with a unique custom made landing page that may include introduction, audio-visual, and walk through tour of your property. It is important to stage your property for the sale and present it in the most advantageous way. I will put you in touch with an interior designer to provide initial consultation, or stage your house completely. I do state of the art marketing including professional standard photo and videos. I create custom websites for each property that are easily found on the web. These are picked up by many other local brokers and agents, who are part of my personal and professional network. A listing is also announced by e-mail to a database of hundreds of interested registrants on the websites. If needed, I arrange for advertising your property on mainstream Internet sites such as Realtor.com, Zillow and Trulia. I use the latest technology for signing of the documents on-the-go, enabling distance or traveling buyers and sellers. Along with using technology to get highest exposure for your property, I will not overlook the “old media” advertisements. I invest the time and effort in setting up open house, print advertising material and neighborhood engagements. Additionally, I will present your property to the other agents in my network as part of further exposure and marketing. Residential real estate has changed – it’s becoming an Internet driven business, where buyers diligently research and are aware of the market condition. This requires your property to stand out from the crowd. At the same time, real estate is a people business, requiring a professional and consistent demeanor. I combine technology with strong communication and well-developed business acumen. If you are the seller, you should meet me. Residential real estate is my business and my business plan as a seller representative will work for you. It all looks too much, specially if it is done for the first time.To purchase your dream home, you need all the help you can get. That is why I have prepared a comprehensive guide to home buying as: The Ultimate Guide to Buying Your Dream Home. Is Rent to Own as Good as it Sounds? I guide you through the contract-to-close process to ensure a smooth and timely transaction in the home buying experience. As a buyer’s agent, I am exclusively representing you for your best interest to help get the best price. If you can not find your dream home in the current inventory of available homes, then new homes are a great options. Here you can get the latest amenities, have a selection in available building plans, start your family in a new community often with new recreation areas, hike and bike trails, community centers, etc. However, be aware that the builder’s sales center is staffed by people who work for the builder and have the builder’s best interests in mind. That is where I can step-in as your Realtor, with your interest in-mind, negotiate to get you the best price. The Realtor commissions are built into the new house price as marketing costs. You will not be paying more to have a buyer’s agent. You should never purchase a home without having your own representation! To the contrary, I can help you negotiate pricing and upgrades and make sure you are getting the best home for the money.